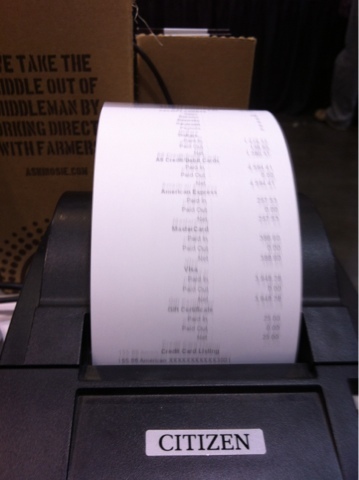 This is pretty much what I stared at all night: register receipts - with smiles, nods, and a lot of "long time, no see! Great to see you!" Thank you everyone who came to our booth. Thank you do much!! Hopefully, some booth photos tomorrow...see you soon!